Brad has a B.S. in MIS from the University of Alabama (Roll Tide!) and is a former member of the Million Dollar Band, the UAH Wind Ensemble, and the Muscle Shoals Symphony. Brad works during the day for SAIC as a contractor for NASA. When not playing with Olde Towne Brass, you can probably find this 8 handicap golfer on a course somewhere, or with his and his wife Amanda's new baby. Pete is a native of Oxford, Massachusetts. He has a BM from Michigan State, a MM from the University of Massachusetts/Lowell, and an Ed.D from Nova Southeastern University. After teaching High School Band, he enlisted in the Army. He commands the AMC Band at Redstone Arsenal, plays with the Brass Band of Huntsville, teaches at UAH, and plays Eb Bass with Olde Towne Brass. Mark, a Pennsylvania native, has played with the Erie Philharmonic, the Penn State Center Dimensions, the Bobby Mercer Big Band, and with the Huntsville Symphony and Huntsville Community Chorus. He is an Engineer at MILTEC. He is married and the proud father of two sons. 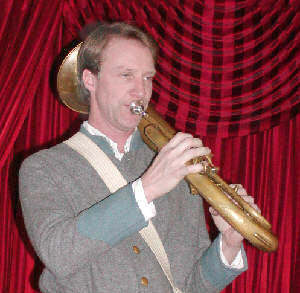 Mark plays Tenor, Baritone and Trombone. Dave Ryan is the conductor of the Madison Community Band in Madison, Alabama, a suburb of Huntsville. He is a former member of the Lee High School Band in Huntsville, and a former member of the Auburn Knights Big Band. Dave spends his working days with Jacobs Technology in Huntsville, where he works in the Finance Department. Dave plays Bb Cornet and sometimes Bass Drum with Olde Towne Brass. Steve performs with the Huntsville Brass Band when he is not working for Teledyne Brown Engineering in Huntsville. He went to Robert E. Lee High School where he played under Tom Borden. He plays Baritone with Olde Towne Brass. 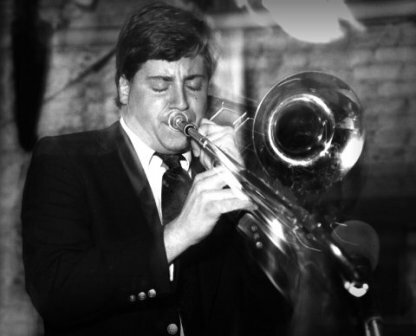 Billy, born and raised in Huntsville, attended Grissom High School where he was First Chair A Band for three years and played lead Trombone in the Jazz Band. He attended the University of Southern Mississippi and has a degree in Jazz Studies from the University of North Florida. He has toured with the Tommy Dorsey Orchestra and now gives private lessons in Huntsville. 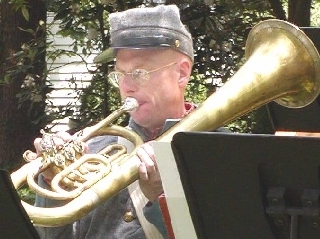 Billy plays Tenor Horn and Trombone with Olde Towne Brass. Doug, a Huntsville native, was a student of Dave Ward of Grissom High School Band fame. 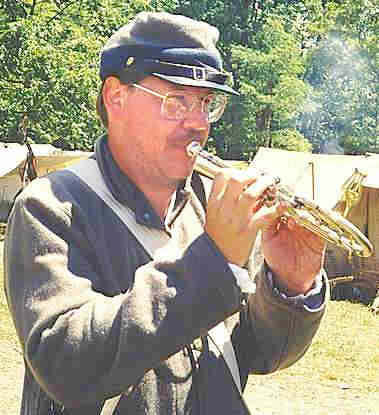 He reenacts with the 45th Alabama Infantry and enjoys woodworking as well as being an amateur radio operator. By day he is an engineer with the Army Space and Missile Defense Command. Doug plays the rope tension snare drum and Bass Drum. 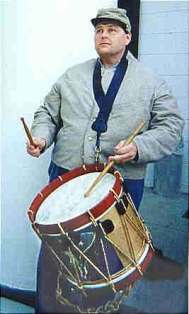 Joe is a former U.S. Army bandsman and a former percussionist with the Huntsville Symphony Orchestra. 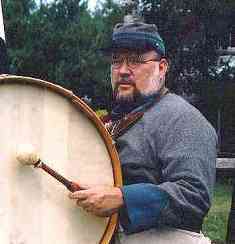 He also performs with "Glen Astar Pipes and Drums" as well as local musical groups, productions, and theatrical groups. Joe's wife, Lin, is also active in the theater. By day, Joe works for Jacobs Technology. Robert Schwartz, a resident of Madison, Alabama, plays Baritone with the Madison Community Band. He plays Tenor and Baritone with Olde Towne Brass. 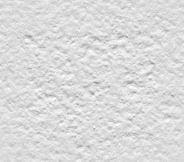 Bob is part owner of Padgett Business Services, a financial reporting and tax consulting office in the Huntsville area. He has a B.S. in Computer Information Systems from Jacksonville State University where he played in their Symphonic and Marching Bands. 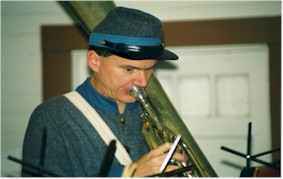 Tim is a graduate of Grissom High School and is a founding member of Olde Towne Brass. Mark, from Germantown, Maryland, is a former member of the United States Marine Band ("The President's Own"). He also served the band in a number of positions, including Historical Curator. 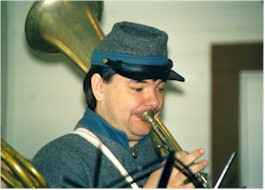 He has one of the finest collections of period brass musical instruments and music in the world and is an authority on War Between the States Music and Harper's Ferry Rifles. 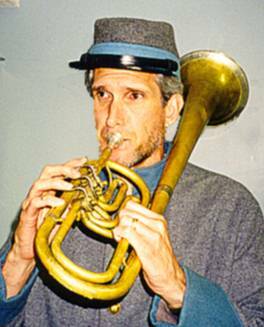 He is a regular member of the Federal City Brass Band in the D.C. area, and an invited guest musician with Olde Towne Brass. David is Director of Bands at Campbellsville University in Campbellsville, KY. He received his BS and MEd. Degrees in Music Education from Auburn University, his MM degree in Horn from Florida State, and his DMA in Horn from the University of Georgia. He is active in church work, and enjoys spending time with his wife Marlow, sister of Bob Baccus, and four children.